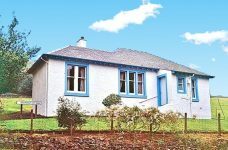 A semi detached delightful cottage within earshot of the beautiful river Stinchar within a newly converted whitewashed farm building with stunning views of this unspoilt valley. Comes with a garage and small enclosed garden. Located a mile from Colmonell Village and its primary school. 2 bedroom, 2 bathroom, kitchen/diner and living room with wood burning stove. Heated by Biomass boiler. 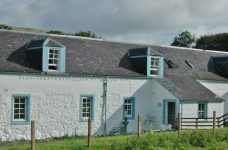 Close to the River Stinchar, ideal for fishing visitors, this newly refurbished farmhouse has 3 bedrooms. Living/dining room. Kitchen. Three double bedrooms. Bathroom with shower, bath and toilet. Shower room and toilet. Wood fire in the living room. 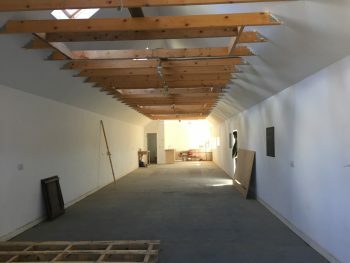 23m x 4m interior space. 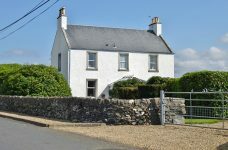 Single story dwelling in the grounds of Clachanton House in the picturesque village of Colmonell. Large detached farmhouse situated in picturesque location comprising of entrance hallway, formal lounge, TV room, dining room/bedroom, kitchen, Cloakroom, conservatory, 3 double bedrooms, dressing room, study and shower room. 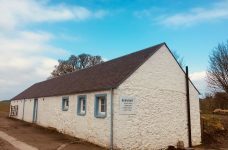 Colmonell Primary School is a short walk away. This new 3 bedroom house, in the village of Colmonell, is built to a high specification. Master bedroom with en-suite shower room, 2 further bedrooms with bathroom and separate shower. Spacious kitchen/dining room with French doors to garden. Utility Room with door to garden. Shower-room. Living room with wood burning stove. 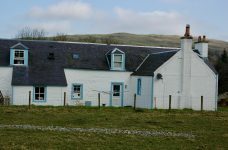 The property is carpeted but unfurnished and has LPG central heating and solar panels on the roof. 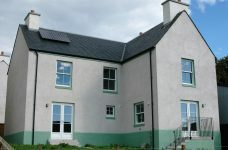 Not far from the River it has beautiful views of the Stinchar Valley.Sleeps 6 in 3 bedrooms. Living/dining room. Kitchen. Three twin bedrooms. Bathroom with shower, bath and toilet. Shower room and toilet. Wood fire in the living room. 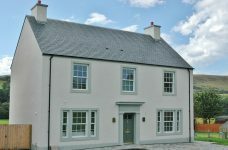 A charming new build 4 bedroom detached home with a garden to the rear and beautiful views south over the Stinchar Valley. In the lovely village of Colmonell close to the new primary school. Open plan kitchen dinner, cloakroom WC on ground floor. Master ensuite shower room and family bathroom on first floor. 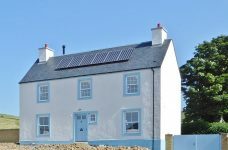 A beautifully designed new build detached house set in a picturesque location on the edge of the village of Colmonell, 9 miles from the seaside town of Girvan. 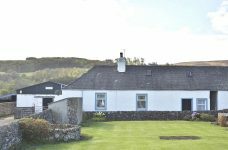 South facing garden with exceptional views over the Stinchar Valley. Living room, kitchen/diner with double oven, laundry room, 4 bedrooms with the master having an ensuite. 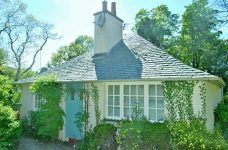 Built as the gardener’s house, this 2 bedroom country cottage set within the garden ground of Bardrochat House. Entrance hallway, lounge with coal fire, kitchen /dining room, 2 bedrooms and bathroom.